I’m not going to lie to you: it was a slow news week this week. Not only was the weather grey and boring but you should’ve seen the headlines. The only news this week, two long dead stars being jailed and a pony getting arrested, pale in comparison to other weeks. I also had a short monologue about my ‘journalistic integrity’. I’ll leave it up to you as to whether or not I should be called that. Anyways, that’s about it on the weird news front. Movies this week include Deadpool having it’s third week at the box office, The Revenant and The Big Short still bring viewers in. 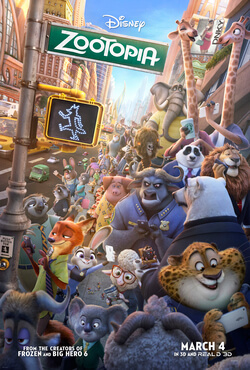 Lastly, Zootopia, the new kids film, is receiving good reviews, even if it is clocking in at just under two hours.